Here at Blaisdell Family Dentistry we approach all your dental needs from two separate angles – what we can do in our Boise office and what you can do at home. For example, tooth whitening and correcting discoloration can be treated in our office or at home. Here in the office there are safe and effective methods for lightening yellowed or stained tooth enamel. At-home whitening methods are also safe and effective and sometimes more affordable. Additionally, we advise you regarding food and drink choices that can affect your whitened smile. Be aware of staining culprits such as coffee, tea, tobacco and harsh sodas. We understand that avoiding these items altogether is not an easy lifestyle change. Nor do we expect it. Awareness and precaution can make a big difference. Rinsing your mouth out with water after drinking a dark or sugary drink can cut down on the contact your teeth have with such substances. Prolonged exposure to sugar can lead to buildup of plaque and tartar and prolonged exposure to staining substances can lead to stronger staining and discoloration. If you are interested in making improvements to your smile and creating a more confident appearance for your professional career or personal relationships, please pick up the phone and contact the incredible staff at Blaisdell Family Dentistry today 208-377-9696. Drs. Lynn R. & Craig Blaisdell, DDS, takes pride in providing friendly care and expertise when treating patients. Come discover the personal attention with teeth whitening, the patient and steady hand with dentures, the wise and thorough instruction relating to porcelain veneers. Once you’ve scheduled a consultation, make the easy drive to 8877 W Hackamore Dr Boise, Idaho 83709 and settle in for guidance that will make your daily oral care and lifestyle choices productive and meaningful. When it comes to hygiene and healthy teeth we are a practice that wants to see you as little as possible. (It’s not that we don’t love you – we just want you to have a healthy smile!) If we only see you twice a year for regular checkups then we’ve done our job. 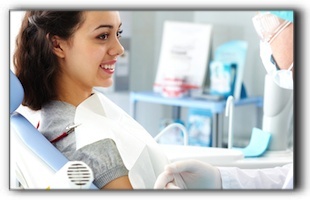 Check out our website at https://www.blaisdellfamilydentistry.com/about-blaisdell-family-dentistry/ or come in for an evaluation and recommendations. Drs. Blaisdell provides the full spectrum of dental services from cosmetic dentistry to dental implants to sedation dentistry. And we welcome patients from all over the area, from Boise to Sun Valley and from Nampa to Meridian.